*Authorized Heat & Glo Fireplace Dealer* The Place in Medina, Ohio has been satisfying clients since 1967. It has Northeast Ohio's largest selection of fireplaces, hot tubs, grills and patio furniture in its 20,000 square foot showroom. Our friendly and knowledgeable sales professionals ensure you will be well informed about the products and available options that interest you. SERVICE You are important to us and we take your family’s safety seriously. That is why The Place has eight National Fireplace Institute certified employees. This certification requires ongoing education and testing that we are happy to complete for your benefit. FIREPLACES – WOOD STOVES With over 35 live burning fireplaces for you to experience, you can see the flames and feel the differences for yourself. You will find fireplaces, electric fireplaces, wood burning stoves, pellet stoves, gas inserts, fireplace doors, gas logs, and hearth accessories. We also offer fireplace makeovers, fireplace maintenance and repair. You will find the best brands on the market including Hearth & Home, HeatnGlo, Quadra-Fire, Heatilator Eco-Choice, and Harmon. The Place is proud to be an Authorized Dealer of Fireside Hearth & Home Products. 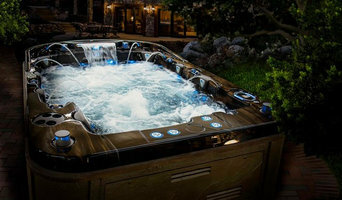 HOT TUBS – SWIM SPAS Looking for a spa, hot tub, swim spa, or wellness spa? When you visit us call ahead and bring your swimsuit, we will have some hot tubs and swim spas waiting for you to try, and over 30 more spas on display. The Place offers full hot tub service and repair, delivery and installation, and carries spa replacement covers, water care products, spa parts, and many spa accessories, including: stairs, handrails, umbrellas, towel racks, drink holders, aromatherapy, gazebos and more. We carry the best brands: Coast Spas, Cascade Series, Nordic, and Hydropool, along with hot tub covers, Covana Spa Covers, and care products. GRILLS – SMOKERS - PIZZA OVENS Backyard entertaining? We have what you want when it comes to grilling, smoking, and outdoor ovens. Come in and see how easy it is to get the best from Weber Grills, Big Green Eggs, Firemagic Premium Grills, Louisiana Pellet Grills, American Outdoor Grills, Forno Bravo Pizza Ovens, Chicago Brick Ovens. We have great items to go with your grill - Challenger Grill Carts, a huge variety of outdoor cooking accessories, flavored wood chips, and charcoals. Feels like yesterday, when in 1957 we began our business as primarily an in-ground pool company in a converted one car garage in Canton. We now serve all NE Ohio from our three retail showrooms in North Canton, Mayfield Heights and North Olmsted. As a family owned and operated business, Rich Annis and his daughter Amanda, take pride in the exclusivities of our expanded pool, spa, sauna and leisure furniture product lines. In addition, and just as important, is the exemplary customer service our staff provide as a benefit of being a small business with strong family values. This combination allows us to reach the end goal of enhancing the lives of our employees along with our communities in NE Ohio. We carry HotSpring Spas, Finnleo Saunas, Above Ground Pools, Patio Furniture, and much, much, more! Servicing all hot tub or spa makes and models in Northeast Ohio for over 20 years! With our offices in Tallmadge, Ohio, A-1 Hot Tub Guy continues a 20 year-long company, dedicated to repairing every make and model of every hot tub and spa. Centrally located, we serve Akron, Canton, Cleveland and all the surrounding communities. We will fix your equipment right, with fair pricing and fast & permanent results. A-1 Hot Tub Guy is family owned and operated – We are committed to quality & service. Contact Karl and his team today with your concerns – we’ll work to get you back in your hot tub or spa as soon as possible! Having a hot tub or spa at your own Parma Heights, OH home can provide more benefits than you may think. Ask any hot tub dealer in Parma Heights, OH and they will tell you about the numerous ways spas can enhance your life, including physically, emotionally and socially. If you’ve been contemplating adding a spa to your home, visit a local Parma Heights hot tub store today to learn more about which options are right for your location and needs. It’s important that you do some research before visiting a local Parma Heights spa and hot tub dealer. While they can give you lots of information about features and financing, you should have an idea of where you would like to position your spa and what its main function will be. Do you plan to use it mostly for relaxation or socialization? How many people will be using it? All of these things will help the hot tub dealer pick the best models for you. Decide who will be responsible for daily maintenance in your household and if the extra energy costs are something you’re actually willing to incur. Also, know that most hot tub stores in Parma Heights, OH let you do test soaks, also known as a “wet test”, where you can throw on your suit and take each model for a spin in the showroom so you know exactly how they feel before purchasing. Don’t be shy — just think of it as test driving a car! 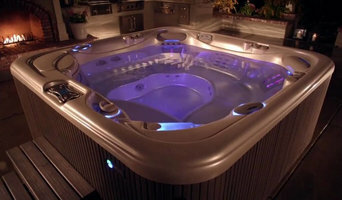 Find spa and hot tub dealers in Parma Heights, OH on Houzz. Narrow your search in the Professionals section of the website to hot tub and spa dealers in Parma Heights, OH. You may also look through photos to find hot tub designs you like, and ask about the details of the spa, including the manufacturer and where it was was purchased.